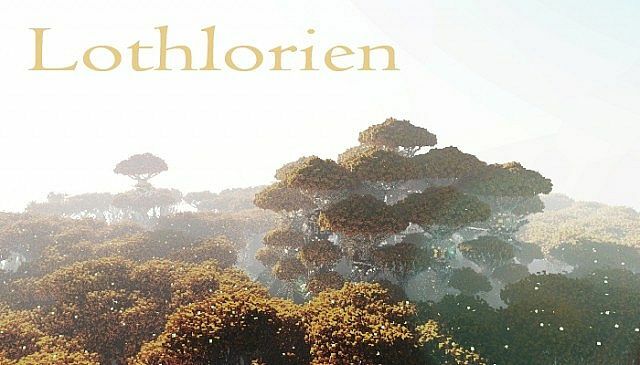 Lothlorien, Elven forest where lord Celeborn and lady Galadriel live. 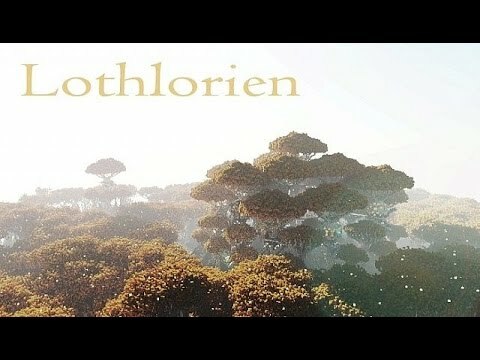 This is my second attempt for lothlorien, I might update it in near future. AWESOMMMMEEEEEEEEEEEE!!!!!!!!!!!!!!!!!!!!!!!!!!!!!!!!!!!! Love your work dude! 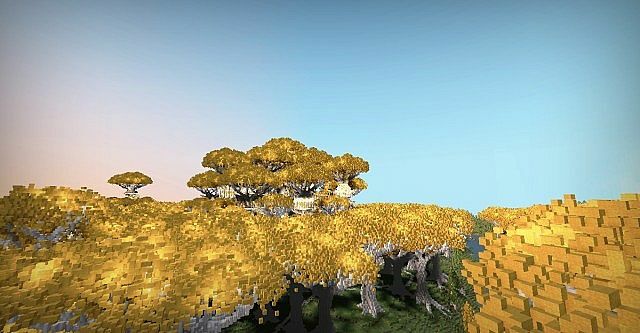 Is it ok to use this map on a server? how to schematic map ? You can open SCHEMATIC with MCedit (its program) . oh no I mean the map is very beautiful but I just took too wide of the important parts you can add a schematics does not? You should do Beorn's house. This totally amazing! It's not looking perfect compared to the film (the forest is green and all that stuff) but it's really amazing! Good work! Dont know what to say... You built it alone? Or whith a group? 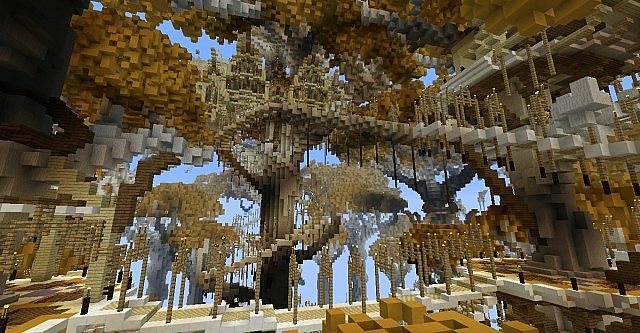 Can't wait to see your Erebor version!!! SO AWESOME! You did a great job! 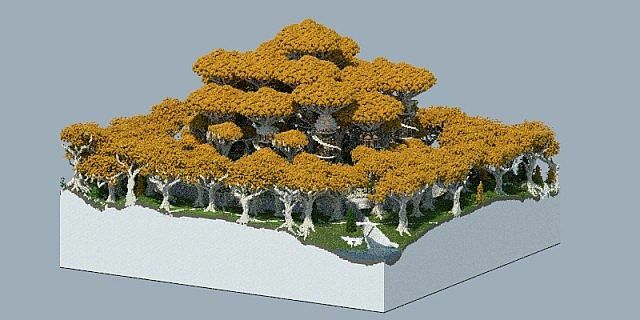 If I was an elf i would definitely live here. Oh yes. this is outstanding and beautiful work - my respect. 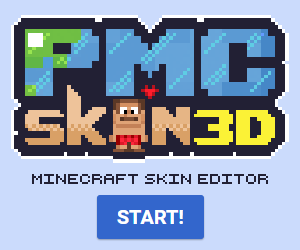 I would like to feature you for next week's best minecraft project show. May I use a portion of your video for your part of the feature? I will credit you in the video and link to this project and the video itself. Hey man, I spent a pretty long time making this cinematic for you! 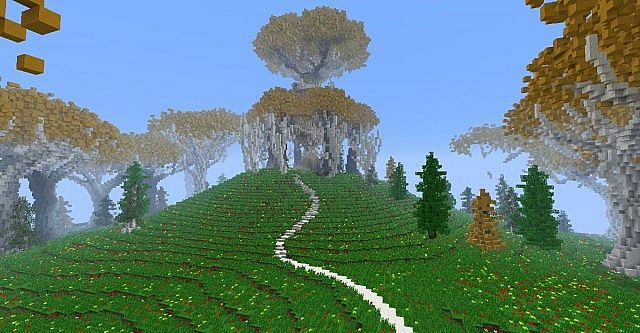 DIVICI YOU SWEET SON OF A ***** YOU DID IT AGAIN This is a sick depiction of the home of the silvan elves It looks alot like the pic on the LOTR Wiki! I love the books keep interprating them for us! 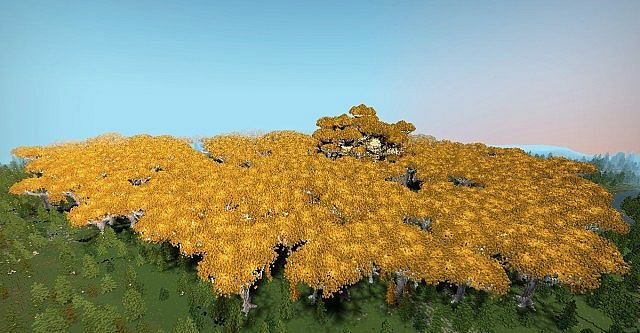 i though its just a gigant tree with no homes on it, oo bish i was wroon.. Finally!!! Ever since I read the boks this has been my favorite place in LOTR!!! looks pretty good. i like it. I would not change it, looks pretty perfect on the screenshots. I love the render! 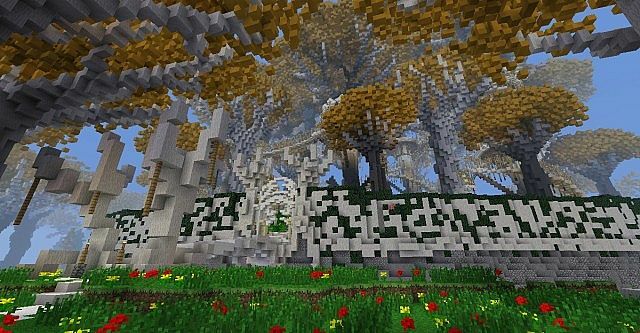 Fantastic work on the build aswell!